"ROCK AND ROLL: READ!" Muehl Public Library Teen Summer Reading Program! This image is copyrighted. Contact the CSLP at 1-866-657-8556 or contact@cslpreads.org for more information. I think my score has a mistake, I don’t know the last number, and I turned some sheets in at the blog box Thurs, was that too late? 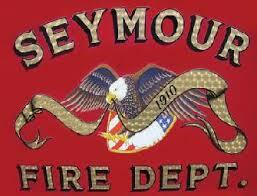 Seymour Volunteer Firefighters underwrite this program. Thank you!